You probably think “what is there to say about t-shirts? Could she pick a more mundane item of clothing?” Well, 99% of the time I wear T-shirts. They are a staple part of my (almost) daily uniform. When you think of a fashion blogger, images come to mind of sky high heels, all polished and glam. Whilst I have all the time in the world for this, my heart belongs to the humble T-shirt. It is a wardrobe essential for any woman. An essential that’s grossly under-utilised. The T-shirt is probably the most underrated item you own, often we just “chuck on a tee” and rush about our lives. 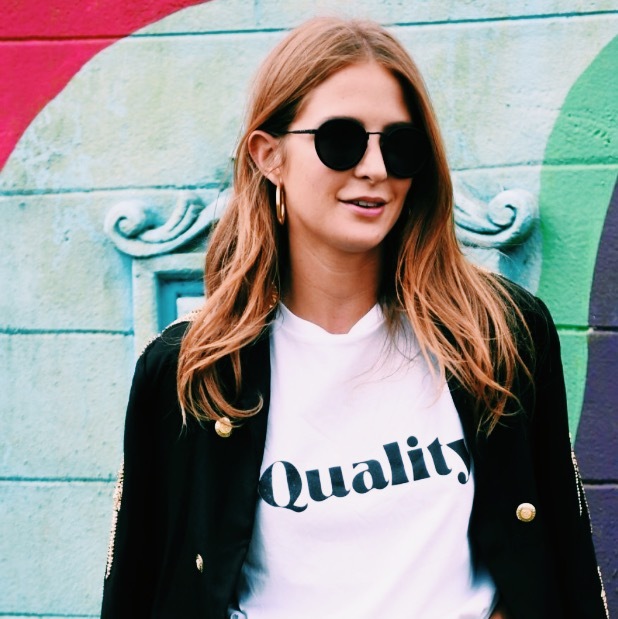 The thing is, the T-shirt does not need to be the item you just “throw on”, it can be what you wear on a first date, when your’re going “out, out”, or to a gig, the perfect smart/casual Sunday attire- best accompanied with an Instagram worthy brunch, followed by even more ‘grammable cocktails, it could even stretch to your work wardrobe (if you find the right one). 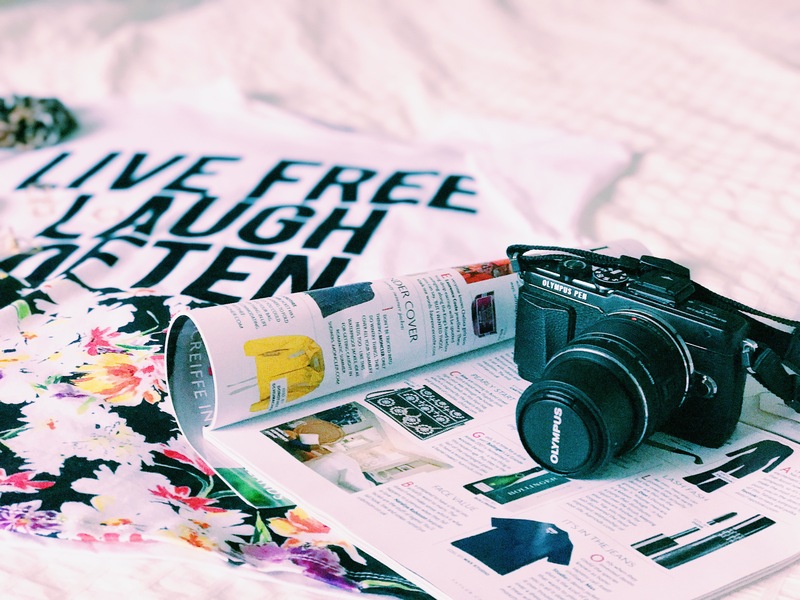 In this post I’m sharing some of my favourite T-shirt looks and where you might wear them. I hope this sparks your imagination and after reading this you will have a new found love for the T-shirt that enables you to create numerous “new” looks with the wardrobe you already have. As always, you can use the links in this article to “shop the blog”. Got a hot date planned? Stressing about what to wear? Nothing says “I’m naturally gorgeous, funny, stylish, independent and your dream girl” than an outfit that doesn’t look too over thought. This t-shirt is humorous, bold and the perfect conversation starter, pairing with heels (walkable ones!) prevents this appearing too casual and the bold accessories scream confidence. Whether you are going for cocktails, to a museum or out for dinner (add a blazer/black tweed jacket) or to the park (add a denim jacket and cats-eye shades) this outfit has you covered. This look is something I’d wear everyday, the leopard belt acts as a neutral, whilst bringing a contrasting texture to the look. The patent shoes and bag add to this, creating interest in an otherwise basic T-shirt and Jeans combination. This is the perfect outfit for anything from visiting a museum to heading to the pub (and everything in between). Denim is the classic partner to a Slogan T-shirt. MOM jeans continue to be one of the most on trend cuts of 2017- yes I’m sure we will look back in a few years and wonder what we were thinking on that one, I wear them and I love them but, I’ve seen pictures and I’m acutely aware they make my legs look like sausages. Hat from Target, T-shirt from Topshop and Scarf from ASOS. 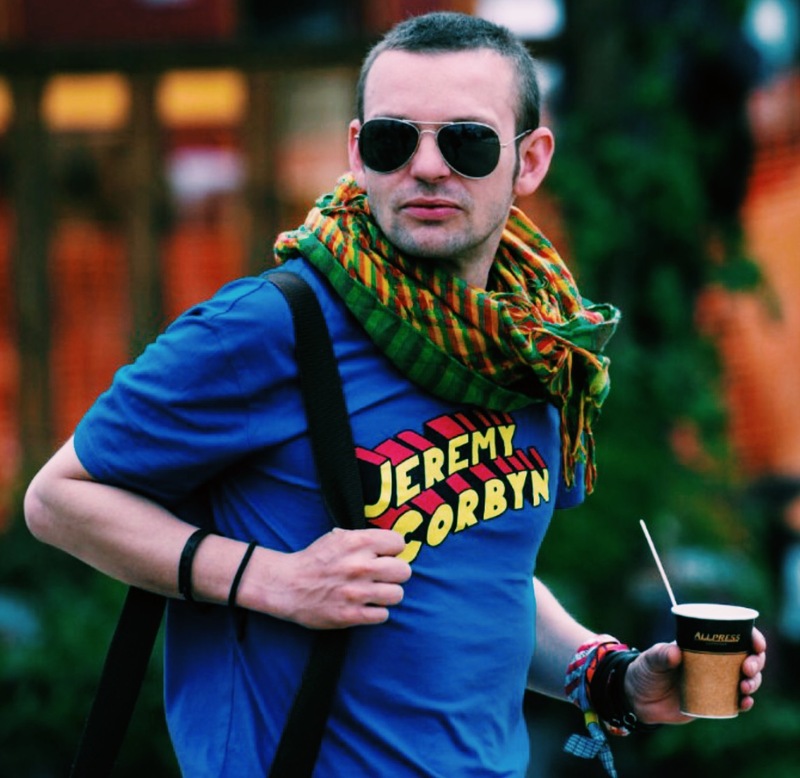 At Glastonbury Festival this year, slogan tees were a huge trend. Everyone was speaking their minds with messages boldly displayed on their chests! Particularly on trend were Political affiliations and statements of love, happiness and equality (be that LGBTQ or Feminism). Why not have your say and share a message that provokes positivity- it may make someones day. Obviously the T-shirt I have featured isn’t basic. But the look would work for any plain t-shirt (white or otherwise). 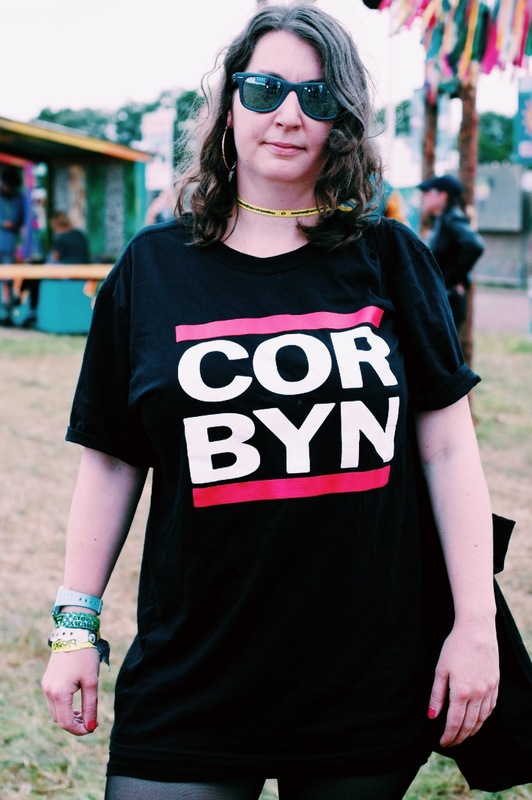 The t-shirt I have featured is a charity t-shirt to support the Manchester Emergency Fund, 100% of the profits of the sale of this T-shirt (Boohoo) will be donated. I have been thinking a lot about consumerism lately and how much I have bought in the last 3 months alone. I want to be fashion conscious in the right way and at least with this item my money can do some good. The look features a leopard boot which are the best Givenchy dupes I’ve seen. …T-shirts. Do you wear them as a style statement? If so, please share how you style yours below. I am always eager for new style inspiration. Like you said; I wear a tshirt as a throw on top. Going to try these tips next time I think about just throwing it on!